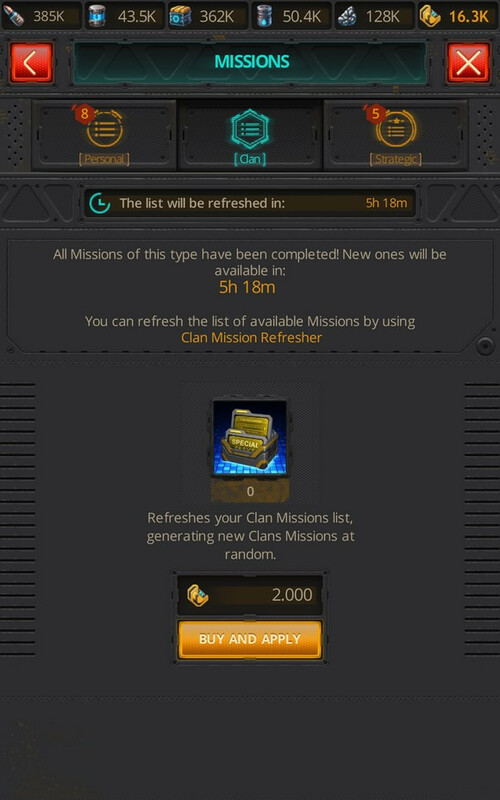 Missions are short-term tasks that allow you to obtain resources, components, Leader Experience, etc. 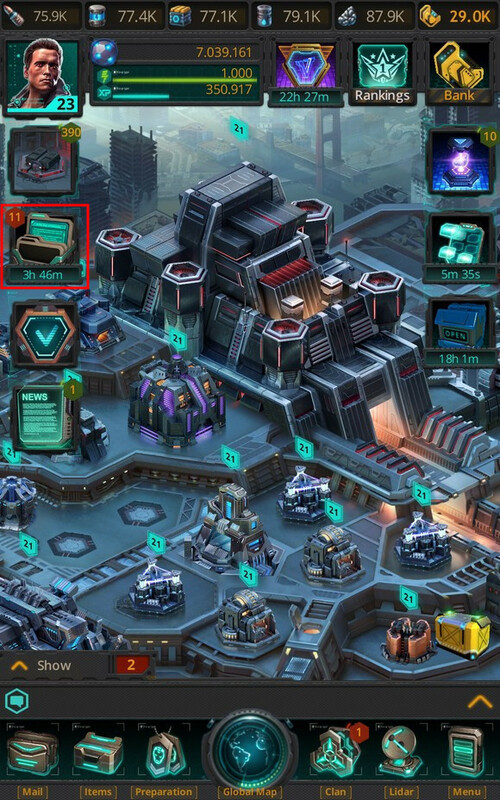 Completing a Mission does not require you to spend any resources or Technology Points. 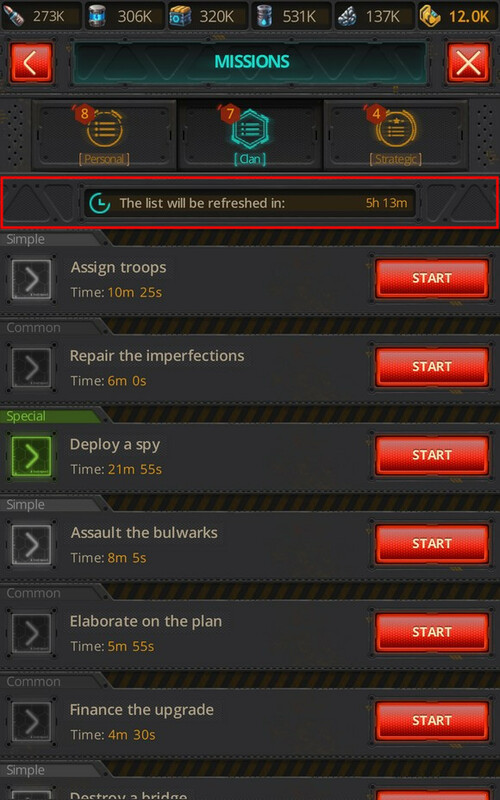 Missions are completed automatically. You just have to tap the "Start" button and wait until the end of the specified completion period. 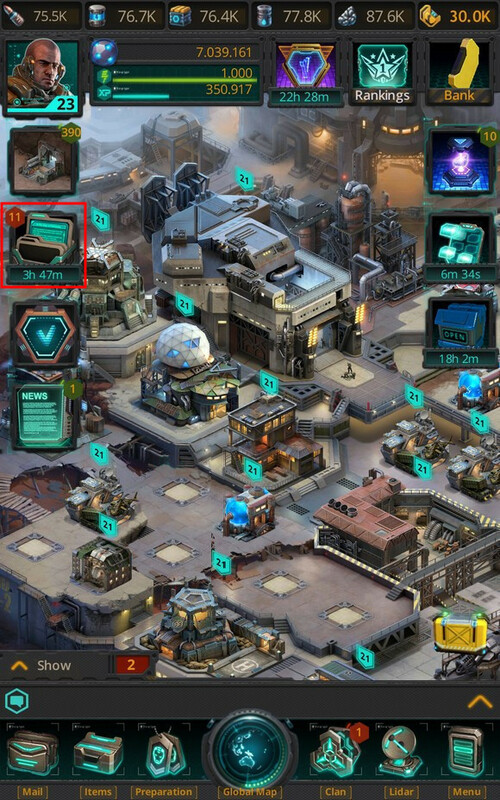 The Missions icon is on the left of the interface. 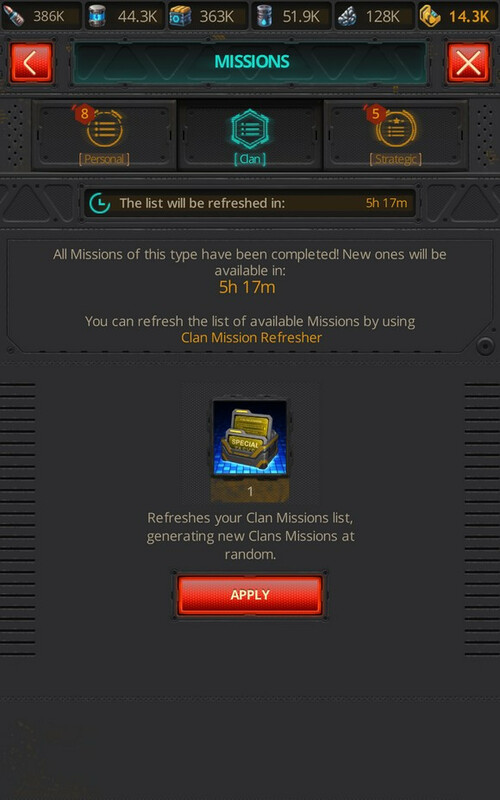 The Missions you have completed will remain in the list until you claim the reward.